Like many building materials containing asbestos, at one time, asbestos drywall was popular. It was not just drywall that contained asbestos either, but the joint compound also often contained asbestos too. These days asbestos-containing building materials are no longer in use, but that doesn’t mean that they aren’t still in homes all around the country. So, that begs the questions – how do you know if you have asbestos drywall? Asbestos Drywall, Do You Have It? If your home was built after 1990, then the chances are that you have nothing to worry about. Why? Because in July of 1989, the U.S. EPA outlawed the use of most asbestos-containing products. But what if your home was built before 1990? If your home was built before 1990, then there is a chance that the drywall and joint compound used in your home contain asbestos. One of the easiest ways to spot this toxic drywall and joint compound is to head over to Inspectapedia. Their site has photographs as well as instructions on how to determine if you are at risk for asbestos exposure. What if I DO Have Asbestos Drywall and Joint Compound? If you compare your drywall to the Inspectapedia information and suspect that you DO have asbestos drywall and joint compound in your home, it’s time to call in the professionals! The first thing a professional will do is assess your home and take a sample of the drywall material to send out for testing. This testing will confirm whether you really do have asbestos contaminated drywall. Once that test comes back with positive results, it’s time to contact an asbestos abatement company. How Do I Find An Asbestos Abatement Company? Don’t live in our service area? If you don’t live in the Pennsylvania or Ohio area then, unfortunately, you are outside our service area. Don’t worry though, there are still plenty of professional asbestos drywall removal companies out there. The best way to find a reputable company is to contact your local Health and Safety board or you can also find a list of approved contractors on your State government website! 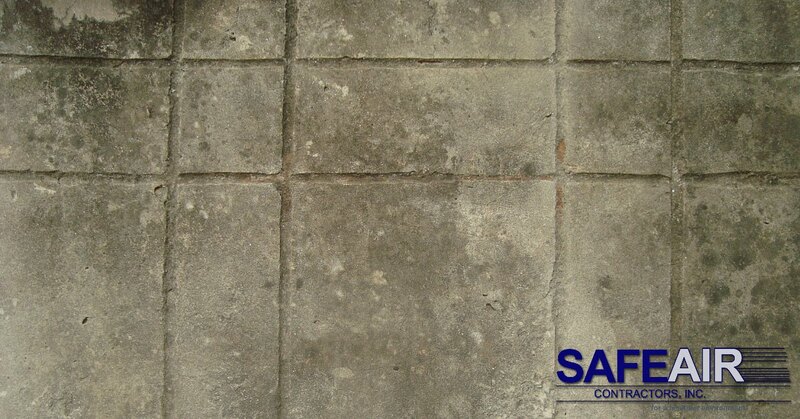 Here at SafeAir Contractors, Inc. we have been doing asbestos abatement for over twenty-five years. If you live in Pennsylvania or Ohio then you are within our service area and we’d be more than happy to help you get rid of your asbestos drywall! All you have to do is give us a call at 440-639-1191 and we’ll get you taken care of!